Do I have enough power to buy a shredder? Well, let’s just hold on a second… How your shredder performs can be reliant on many variables, but before giving the paper shredder a bad name, let’s check the power first. It is a very common issue that is often times over-looked……….and the likely culprit of your immediate distress. There can be some unique variations in how common power outlets are being utilized in office spaces. “The snap of a few sparks, a quick whiff of ozone, and the lamp blazed forth in unparalleled glory”, as Ralphie famously once stated. And quite frankly, sometimes not too far off the mark even in today’s world. Standard office outlets are usually sized from the breaker box as either a 20 or 15 amp outlet, and the additional 5 amps can make a huge difference depending upon the size of your shredder. With a shredder, the motor horsepower, amperage draw, and voltage play the biggest roles in determining not only how may sheets you can feed through it at one time, but also in determining how much power is required to actually run it. Most large volume office paper shredders come standard with a 1.5Hp motor, generally the maximum HP capable of running on a single phase 115V or 120V office power outlet, and require the full 20 amps in order to run properly. These 1.5 HP shredders will require a dedicated (lone) 20amp outlet because of their required amperage draw. This means, in order for the shredder to run properly, this outlet must be dedicated to only the shredder. Only the shredder can be plugged into this outlet – – with no other appliances/machines plugged into the outlet or power strip. Additionally, offices may be using a 20 amp breaker, but will have multiple outlets installed that run off that same breaker. This will only give you 20 amps total between any associated outlets. If the shredder requires 20 amps itself, then the other outlets will take away power from the shredder if being utilized. True zero power shredders will not draw any current when not in use. Many units claim to have this feature, but they still draw current when idle. 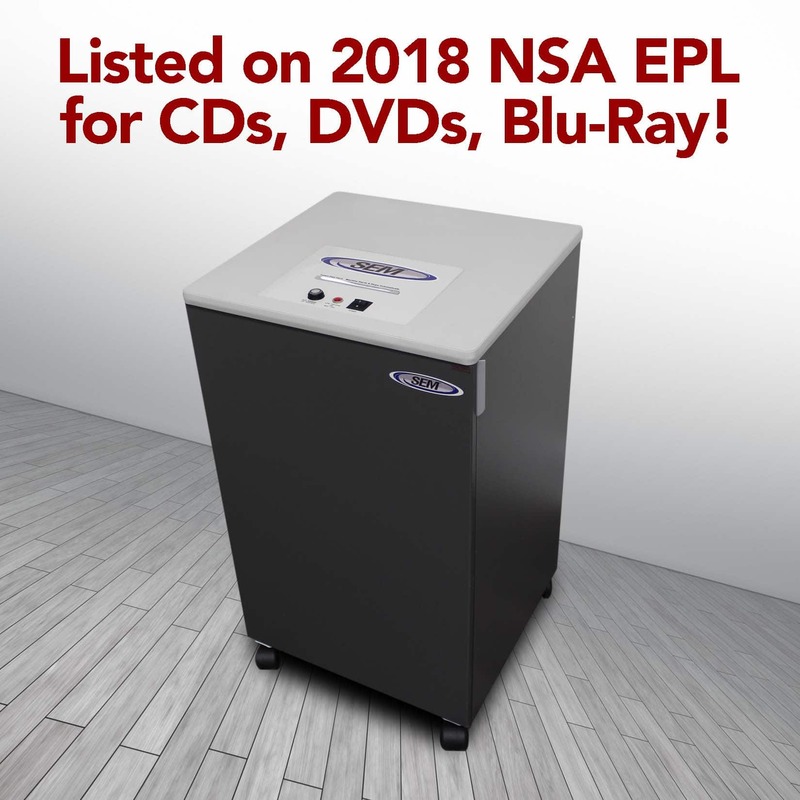 ESM (energy savings mode) shredders will not draw any amperage when not in use while still being plugged in, and ultimately will not draw amperage away from other appliances when not in use. This is a good feature when utilizing multiple outlets tied to the same breaker. Always check the horsepower of the motor supplied with your shredder, and compare it to the voltage (power) the machine requires; versus the amperage (current drawn) your outlet is capable of handling. It may sound confusing, but it’s not that bad. Most shredders have the HP, voltage, and the required FLA (full load amps required to run) listed on the back of the machine. Most all CONUS shredders are powered by 115V or 120V ‘standard’ outlets. (For OCONUS see linked blog; shredders which are powered by 220V or 230V ‘standard’ outlets.) A good rule of thumb is to remember the lower the voltage, the higher the amperage draw. A simple way to ensure your machine is received to run properly is to verify the voltage your area requires when ordering, and verify you have the amperage needed for the machine to run peak performance in your work space. Considering a lower horsepower motor (1HP or less) might be a better choice for your office, considering the power you actually have available and what other appliances will require with what’s left over (amps not being drawn). By doing so, you might not give the shredder such a bad name!